Let us Muslim parents walk the talk! Alhamdulillah today while researching for the Aaila magazine, I came across this excellent talk by Sheikh Yasir Qadhi. MashAllah he is an amazing speaker with so much knowledge of the faith. I feel so blessed to be able to benefit from his work, alhamdulillah. This talk is about parenting. He talks about how we can raise our children as good Muslims. This beautiful reminder has inspired me to think and write about this topic. Children are amazing blessings. Allah subhanahu wa ta'ala teaches us that our children are our adornment on this earth. Just imagine a world without the children! They bring so much joy in our life, alhamdulillah. We can reach the higher levels of jannah (garden of paradise) through investing in our children. How many of us really reflect on this fact? 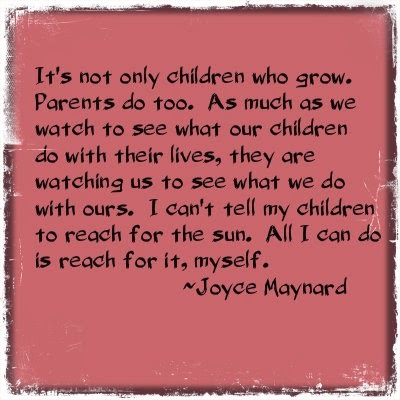 Is parenting one of the major topics in our mind on a daily basis? Or it's just another chore as adults we have to deal with? This talk does give us a guideline to follow. He talks about our role as parents. 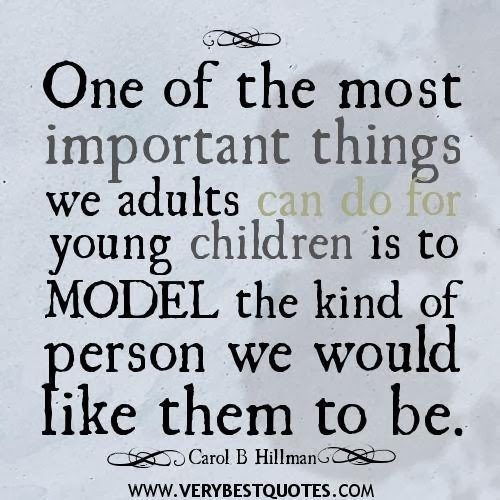 We, the parents, are the most important role-models, for our children. They will follow our actions , not our long lectures. Children are very clever in detecting hypocrisy. How many times we have seen parents who talk the talk, but won't walk the talk. In our community, we see people who tend to start practicing the faith when they are in their 60s, 70s etc. Lot of time people have hopes (or rather false/long hopes) that they will have time to sort out their "religious" life before the end. Allah is very merciful towards us. That's why we do see the people who start following the faith properly when they are old alhamdulillah. And may Allah subhanahu wa ta'ala accept their repentance and make everything easy for them, ameen! But the danger with this sort of lifestyle is the kids get left behind. They cannot relate to their parents anymore. The two lifestyle clashes with each other. While the father is eager to go to the mosque to pray, the son wants to enjoy his time at the cinema or just browsing the net on his phone. The worse scenario is the kids start believing that they will also have time to sort out their life and eventually have a good end like their praents. But is there any guarantee that kids will outlive their parents? Lot of older practicing Muslims complain that their children don't listen to them. The most frequent complain is that their kids don't have any interest in Islam. But how many times we think that the root cause can be the lack of interest of the parents when they were young. If a child grew up not living Islam with his/her parents, why would he/she be bothered to live Islam as an adult? If the parents felt that living a practicing life is a chore and waited to "enjoy" their life first before they can start following the basic rituals such as prayers, fasting, charity, pilgrimage (which are the basic foundations of our faith) later, why on earth the children would do the opposite? This sort of mentality also gives rise to the impression that Islam as a faith is boring so it's only fit for older people who haven't got any adventures left to experience. So young Muslims, forget about the faith, go "enjoy" your life! YOLO as they say... You Only Live Once! This YOLO statement is quite profound for me as a Muslim. 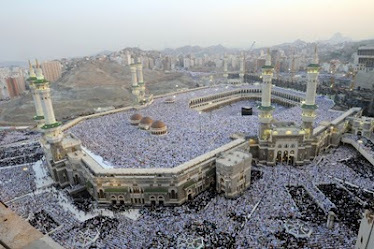 Yes I do live once so I better do my best to live my life as a Muslim before it's too late and my Lord calls me to Him. YOLO can also motivate us to do our best as parents. If we really want our children to be good, well-balanced Muslims, we must first strive with ourselves to be better Muslims. Only through living our life as practicing Muslims, we can create a strong, healthy environment for them to grow up as better Muslims inshAllah. May Allah subhanahu wa ta'ala give us the ability to live our lives as good Muslims and help our children to be better Muslims, ameen!